Below is a list of services that we provide. Design of ground-source systems for heating and cooling applications using rock, soil and groundwater. Design of ground loop (borehole layout). Evaluation and research on borehole heat exchangers. We have our own measure devices for thermal response tests. Development of software for simulation and design. 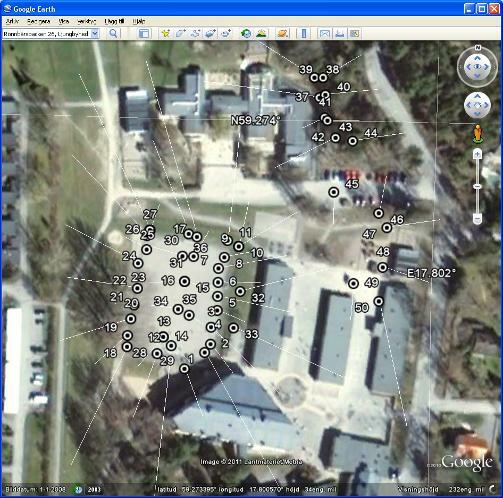 Example of configuration with 50 boreholes shown in Google Earth.